Alberto Armellini Beauty is a luxurious cosmetics line born by the passion of Dr Alberto Armellini, medical surgeon, specialist in plastic, aesthetic and reconstructive surgery, graduate of the International School of Aesthetic Medicine. 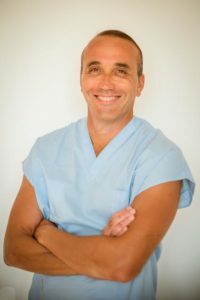 Since always, Dr Armellini has dealt with beauty and for almost 20 years now he shares his time between his studio in Gianicolo, in the heart of Rome, and Los Angeles, California, where he learnt and developed pioneering surgical techniques for face rejuvenation. A pioneer of 3D Face Lifting, which has revolutionized the concept of face surgery, he has always placed his surgical activity side by side with the practicing of aesthetic and regenerative medicine, in order to prepare, optimize, or even avoid aesthetic intervention. With years, and during the continuous search for improvement, a necessity was added to develop a domiciliary project, which would allow patients to treat themselves daily at home to maintain or restore skin luminosity, tone, elasticity, hydration, and, why not, even youthfulness and beauty. The skin is the most extensive organ we have, and it must be protected and taken care of since the youngest age, with the correct lifestyle but above all with the constant use of avant-garde products of the highest quality, which allow to keep the parameters of health and youth at a high level. Our aim is to educate patients to take care of their own health and to spread the culture of beauty.